It was at a benevolent friend’s house a long time ago. Taking care of his plants for a few days, Philippe Bouncer knew for sure that a new family was open to him and welcomed him with open leaves. The garden had only to sprout. Living with plants is, according to Philippe Bouncer, “the chance to take care of our land, to transmit a look, a life in agreement with the world and to become aware of our environments”. To achieve such a dialogue with its customers and a creation as a joint venture between a small or large space owner and a landscape gardener, one must master a whole range of knowledge, techniques and also want to be part of a long history, that of gardens. Philippe will have learned a lot. He was lucky enough to be at a good school. His first internship was in our venerable Jardin des Plantes de Paris. His first teacher was Christian Barre, a man of ground and depth, with the subtle art of transmitting his knowledge and knowing how to share. His first restoration of the garden – a fraternal wink in the life of a gardener – was the private garden of Jean Baptiste La Quintinie, gardener of Louis XIV and creator of the Potager de Versailles. 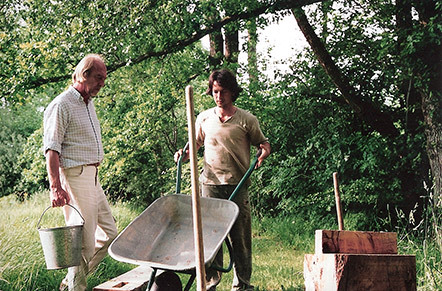 During the restoration of this first garden, Philippe, then twenty years old, asked some advice from another great gardener and man of science, Alain Richert, landscape artist, artist and scientist in horticultural techniques. in landscape creations and botanist emeritus. Philippe was able to continue his path of gardener, passing for more than two years his weekends in this beautiful garden that is the mill of Vau. Which became a place of study, work and confrontation. Catherine Willis, artist still too little recognized, co-creator of the exemplary garden of the Moulin de Vaux, will have opened the world of the art of gardens and the exchange and sharing of so-called “banal” plants, yet so deserving and often medicinal and beneficent. By clicking on “Buildings realized” you will find examples of: creation of terraces, patios, gardens, interior gardens, rich themes and diverse horizons, from the most modest space to surfaces of 500 m². You will be able to discover some on this site, some very prestigious for owners that the confidentiality prevents us to quote here, but which testify of its growing reputation among all those who are tired of the terraces “ready to install”. For Philippe Bouncer, the practice of Zen, music and books was another root meeting that allowed him to deepen the work on himself: he was able to meditate on our relationship with life, the world and others. To take others into account is one of the original features of Philippe’s work. It does not follow any of the dogmas that some renowned landscape artists want to impose. He does not meet a client with the idea of ​​”tackling” a ready-made, dogmatic and academic conception. “Listening to nature has made him practice dialogue and it is a dialogue that will be established between the owner, his space and Philippe’s approach. 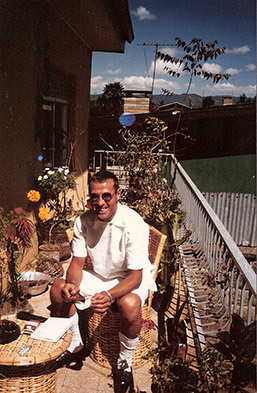 Through conversations with the future gardener of his own space and observing the tastes, the artworks loved by the client, his favorite colors and materials, all that characterizes his place of life, Philippe Bouncer will design the exterior of this location. And, from the customer’s wishes, create a truly personalized project. All aspects of the work to come are taken into account: the most technical requirements of the microclimate of the place, the plants, bushes and trees that are appropriate in terms of adaptation and response to the taste of the client, also taking advantage of its journeys, especially oriental, of the science of “borrowed horizons”, of the love of vegetal and mineral matter, including also the most modern materials. That’s why Philippe Bouncer’s creations integrate so well into the immediate environment, that they continue to grow and prosper as they should and that they perfectly meet the owner’s expectations.